With the increase in the standard of living and lifestyle everyone is concerned about decorating their homes with the beautiful interiors. As furniture is the most important thing in interior decoration there are many companies are that offer wide range of furniture’s with stylish designs that make your home more attractive. Following are the list of Best Furniture Companies In India that offer modular, office, home and interior furniture. 5. 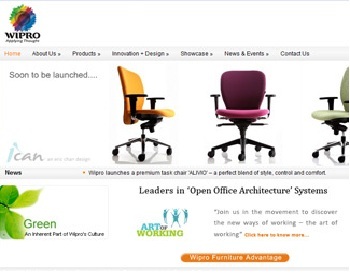 Wipro Furniture: Wipro Furniture Business is a part of Wipro Consumer Care and Lighting Group (WCCLG) which is ranked as one among the top 10 furniture brands. It holds its presence in more than 40 countries with over 6500 employees worldwide with 13 production plants located globally of which 7 are located in India. It offers wide range of products that include Workstations, Benching, Cabin Furniture, Full Height Partition systems, Conference / Meeting Tables, Discussion Tables, Educational Furniture, Task Seating, Executive Seating, Board Room Seating, Multipurpose Seating and Breakout Zone Tables & Chairs. It holds trained professional who come with the innovative ideas to serve the needs of the customers. Address: Wipro Consumer Care & Lighting-Furniture Business, #134, Doddakannelli, Sarjapur Road, Bangalore-560035, India. 4. 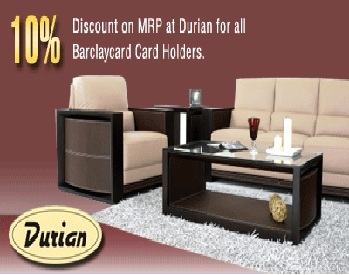 Durian: Durian is a well known furniture company founded in the year 1999. It was headquartered in Mumbai, Maharashtra and offers best quality products to strengthen the marketing position of the company. With the change in the lifestyle and needs of people, company aims to offer the innovative products to meet the needs of working professionals and homeowners across the country. Durian’s commercial, marine grade plywood and block boards are considered as the best in class due to its quality. It offers stylish furniture for all purposes including home, office, veneers, laminates, turnkey solutions including plywood and doors. It holds 2 manufacturing units as well as multiple showrooms in many cities across India. 3. 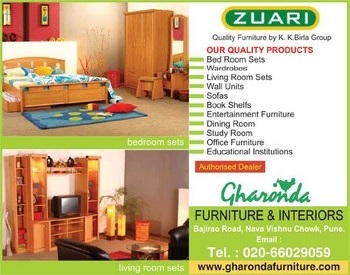 Zuari Furniture: It is one of the leading furniture brand established in the year 2001. It is a flagship company of Birla group which has more than 450 dealers network all across the country. It is a business unit of Indian furniture Products limited and holds trained staff who aims to offer best quality products in wide range of stylish designs. It offers wide range of stylish furniture for home, kitchen, office, educational institutions and many other export products. It cares about the needs of the customers and offers more attractive and comfortable designs that best suits the modern architecture. All its manufacturing units are ISO 9001:2008 certified and holds a strong distribution network of 62 distributors and 850 dealers who spreads across 320 cities across the world. 2. USHA Lexus Furniture: It is a flagship Company of Shriram group which is leading furniture brand in India offering exclusive range of products for bedroom, kitchen, wardrobes and living room furniture. It aim to offer best quality, durable, trendy and stylish products in wide ranges that include Home Appliances, Furniture, Water Purification Systems, Mobile Phones, Electronics and Electrical equipment and many more. It holds many branches across India and offers best quality and services to the customers. It offers bed room, dining room, living room, study room, office and many other furniture decors in many varieties and at affordable prices along with 1 year warranty. Address: Block A, DDA Commercial Complex, Ring Road, Naraina, NewDelhi – 28, India. 1. Godrej Interio: It is India’s largest furniture brand that was established in the year 1897.It is a flagship of Godrej & Boyce manufacturing ltd which is part of giant Godrej unit and offers wide range of stylish furniture for home and office purpose along with solutions for laboratories, hospitals and healthcare establishments, education and training institutes, shipyards and navy, auditoriums and stadiums. It holds 50 exclusive showrooms in 18 cities through 800 dealer outlets. It also holds 2 overseas branches in UAE and Saudi Arabia. 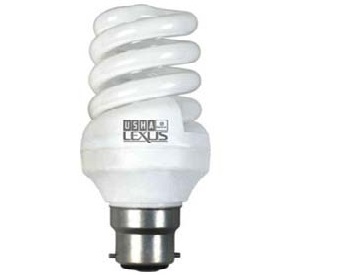 All its manufacturing units are ISO 9001-2008 and ISO 140001 certified and offers wide range of products for office, home, kitchen, commercial complex, hotels and many more.